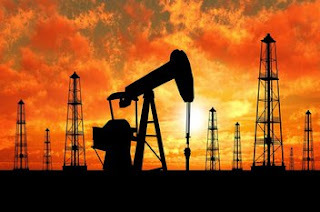 Despite slight negative oil inventories data, crude oil prices rallied due to ongoing tension in the Middle East. Prices had broken the resistance level and previous high of 4,300 and inched higher giving close near the day's high. Even on decline one can consider crude oil as a buying opportunity. As long as natural gas is concerned, prices had taken support near the lower band of the falling wedge formation formed on hourly charts. It has also broken its immediate high of 174.50 giving the Dow theory buy confirmation. 178/180 looks likely in the coming session.